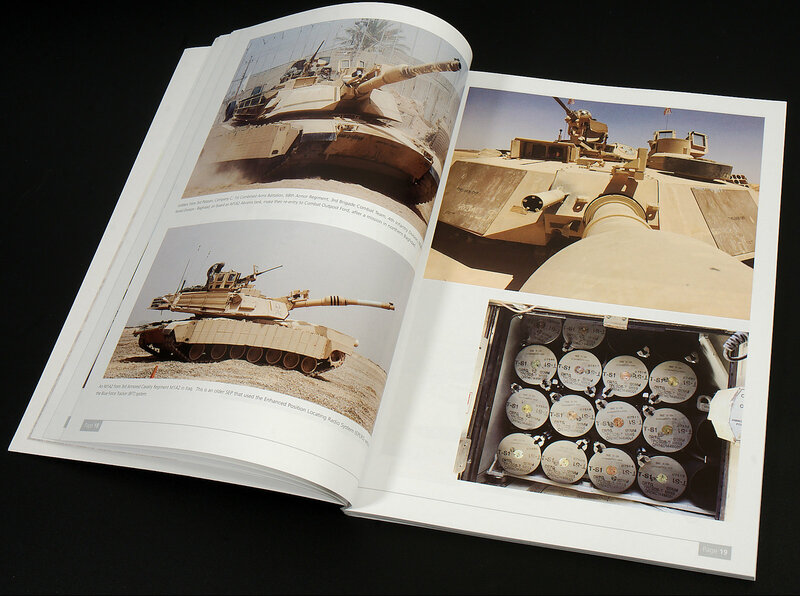 Rising to prominence due to its stellar performance during Operation Desert Shield, it is hard to believe that the design of the Abrams is now almost forty years old. 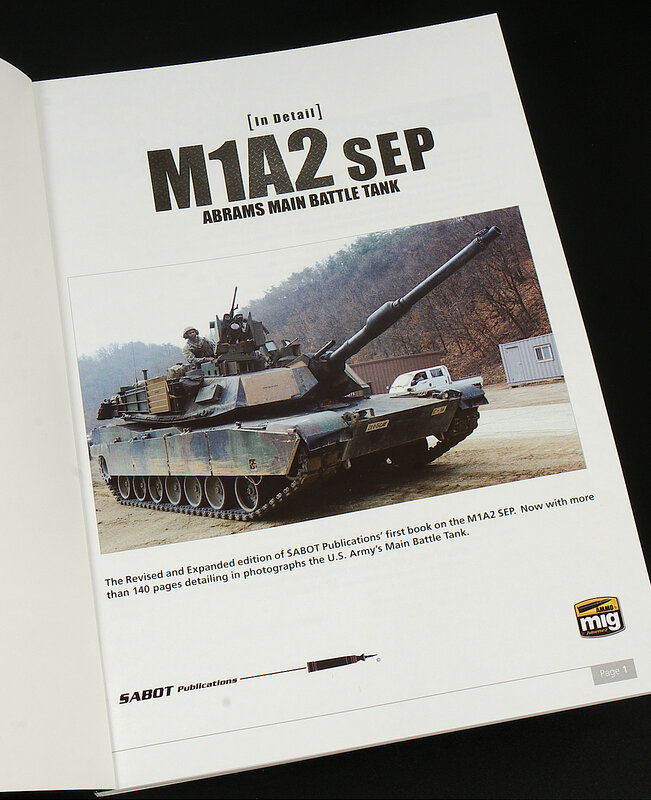 However, despite its age, the Abrams is still considered by many to be the top dog of the tank world, if not the benchmark for all modern MBT’s. 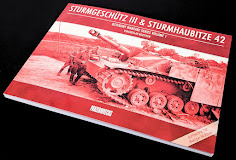 While it is undeniable that the German big cats rule the armour modelling world in terms of popularity, the Abrams is arguably the next most popular subject for armour modellers with most of the major kit manufacturers releasing kits of this tank. 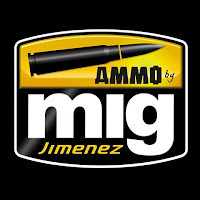 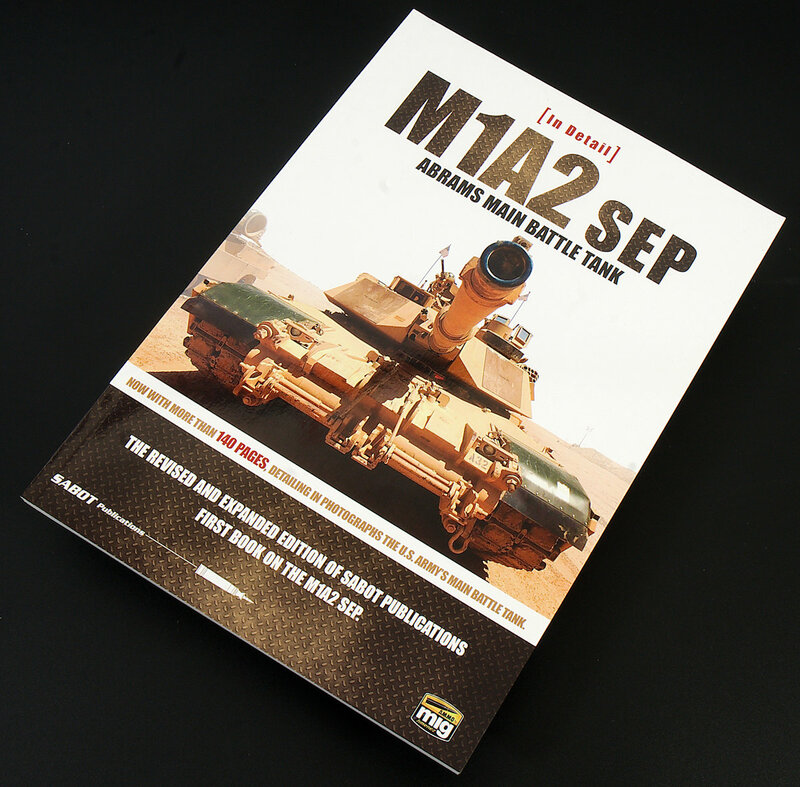 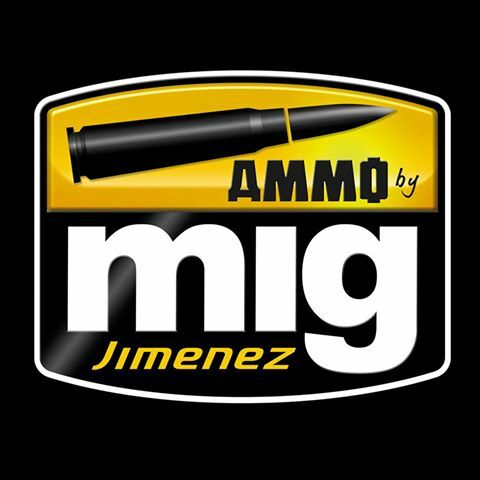 Sabot Publications has been releasing some great detail books in the last few years for us modellers, and have now teamed up with Ammo of Mig Jiminez for this expanded and revised edition of the M1A2 SEP released by Sabot a couple of years ago. 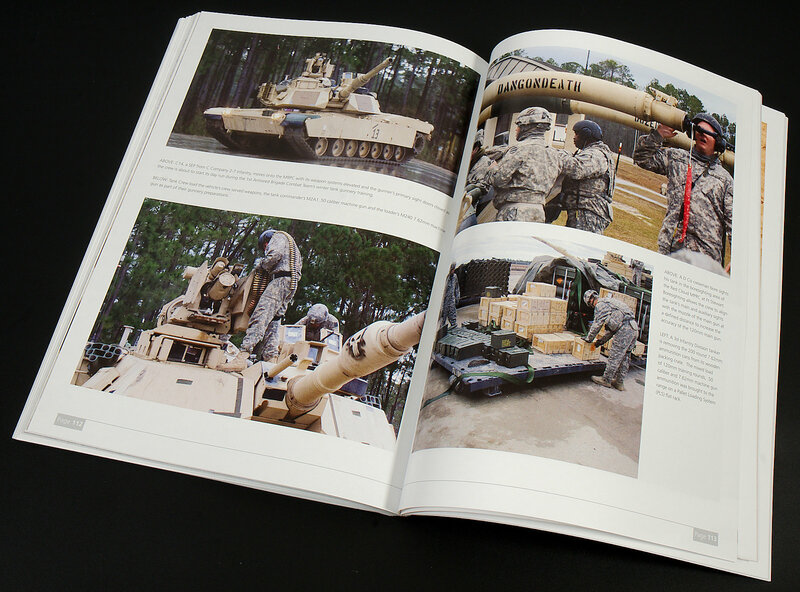 The Abrams design hasn’t stood still over its forty years of service with the more recent upgrades improving the protection of the vehicle called TUSK (Tank Urban Survival Kit). 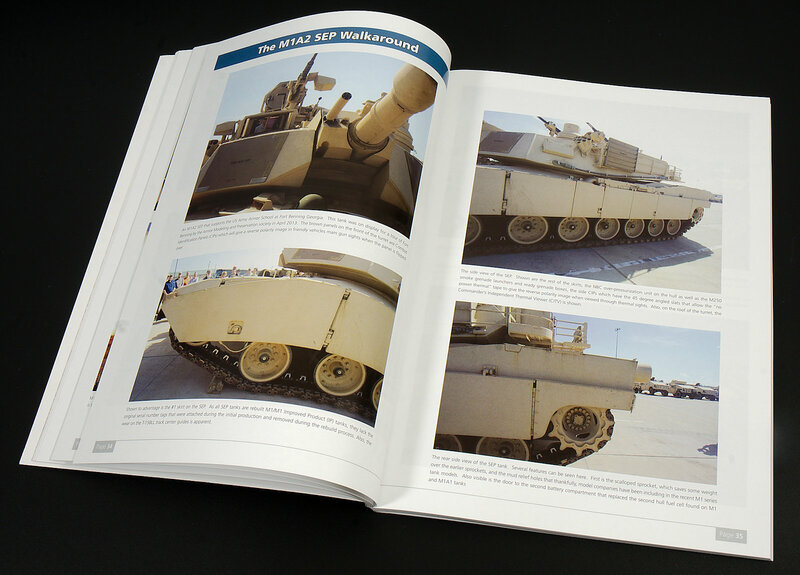 This is a reflection on the type of adversary the Abrams now faces, which has changed from its original role of taking on tanks front on, to now going into urban environments and being assailed by anti-tank missiles and RPG’s from all directions. 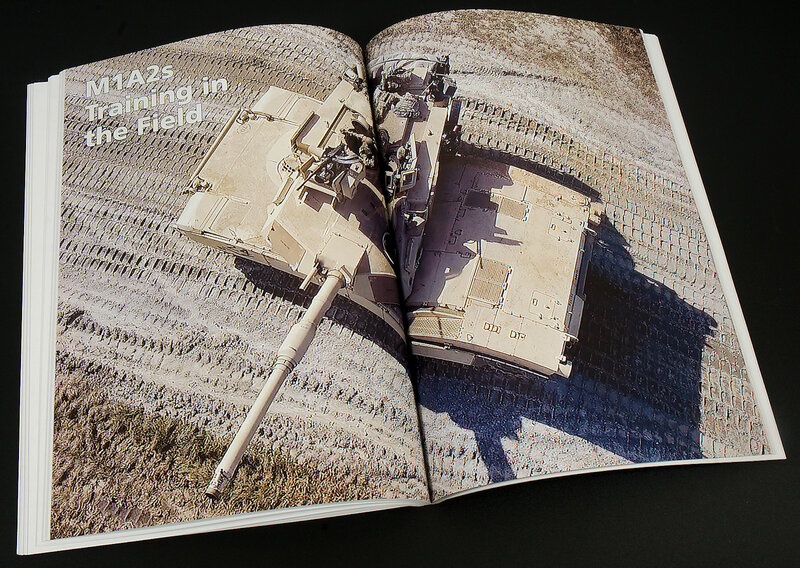 You are definitely not wearing yourself out trying to read this book, but reading about the Abrams is not why you would want to buy this book being a photographic reference, so I will let the pictures do most of the talking. 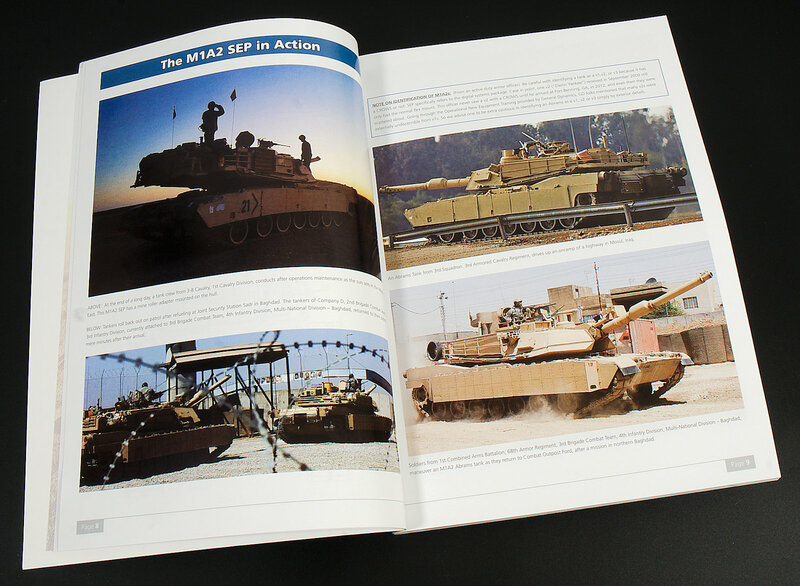 The first section shows the Abrams SEP in action, and while Iraq is the obvious location, there are also vehicles shown on exercise in various locations throughout Europe and Korea, so you are not just limited to yellow tanks. 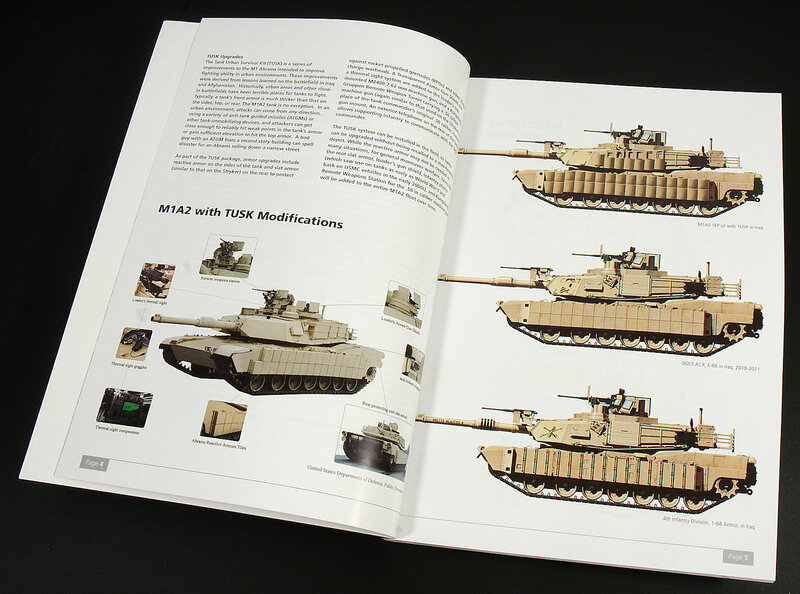 That being said, NATO three tone is the only other scheme the Abrams comes in and it is shown also in the book. 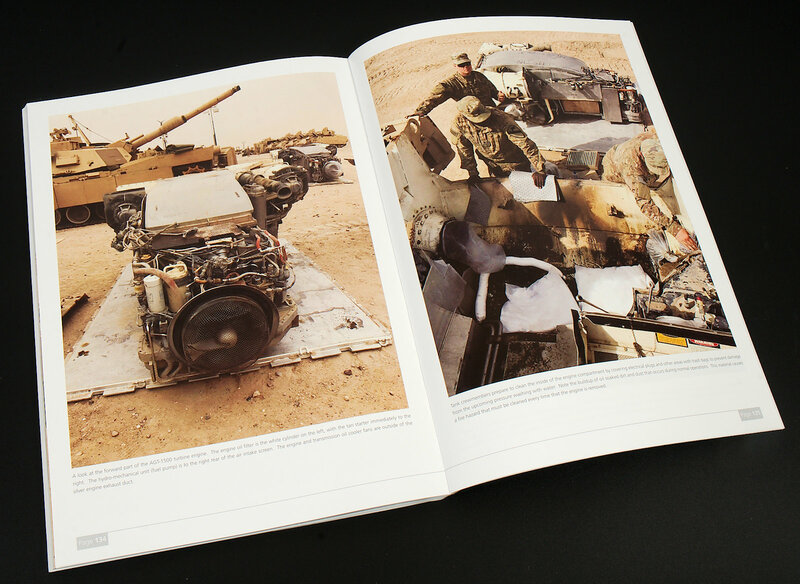 The pictures in the book are not the usual press shots, more in the line of what a soldier might see on a regular day around them. 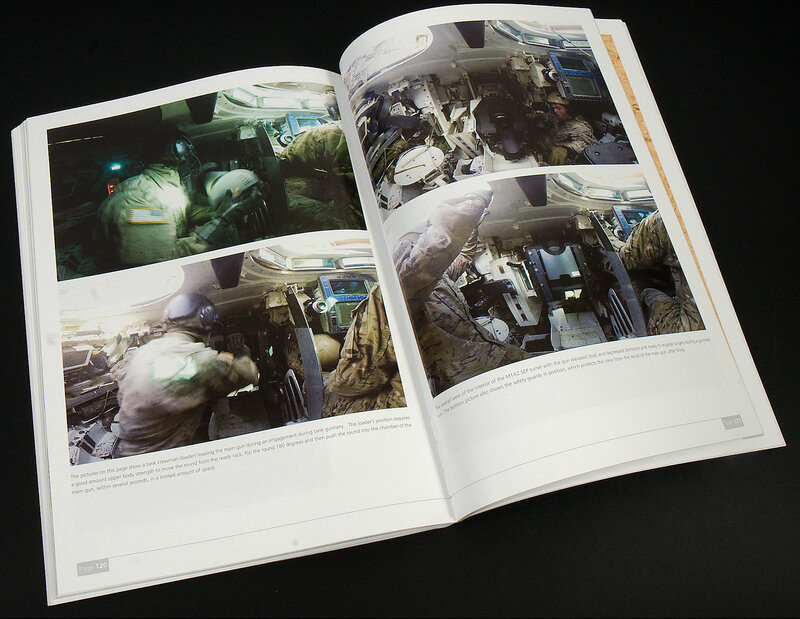 The interior of the vehicle is shown with the tankers at their stations and in P.O.V shots. 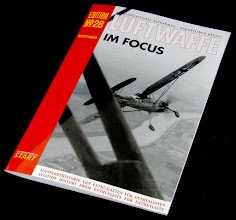 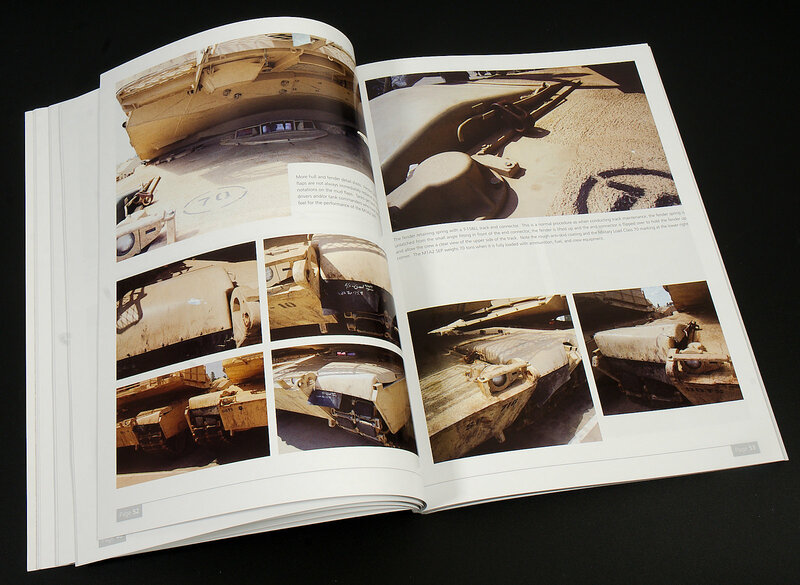 The walkaround sections are really the meat of this publication, with excellent high-quality shots of the various details of this tank including the CROWS (Common Remotely Operated Weapon System). 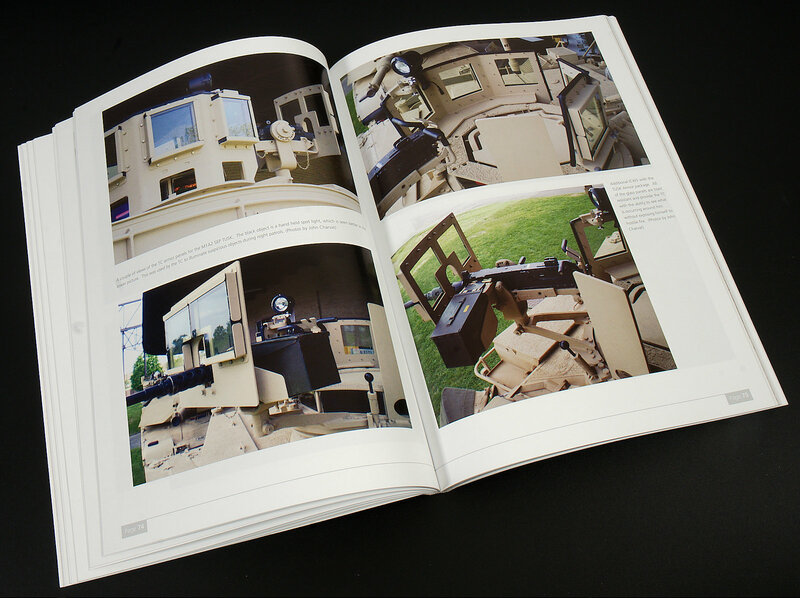 There are also some shots of the interior and engine. 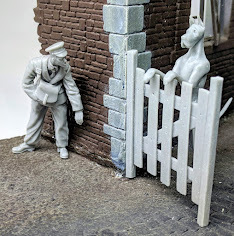 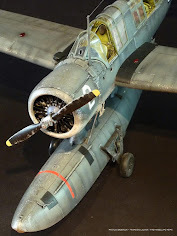 While the number of those shots isn’t as comprehensive as the exterior of the tank, those pictures will come in handy for those taking on the RyeField kit with the full interior. 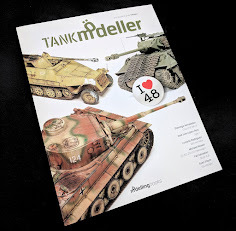 Shots like this show you the subtle details of the surface texture of the tank. 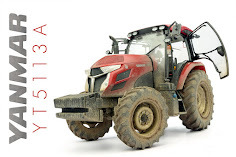 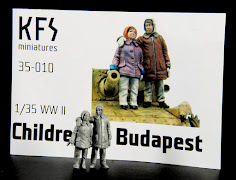 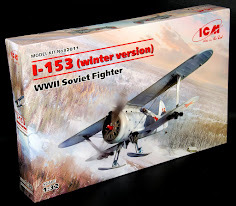 This helps modellers refine their kits into something much more realistic. 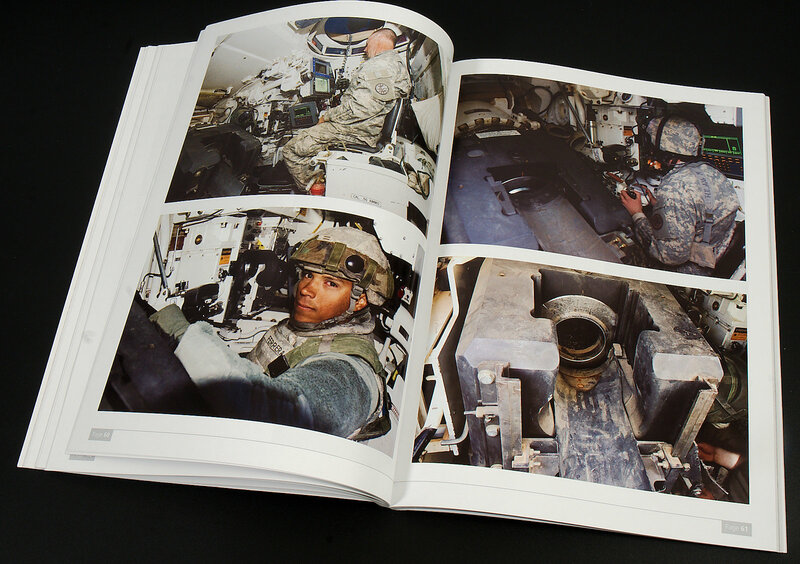 For those wanting interior shots showing the guts of the machine, this book delivers, including the crew at their stations. 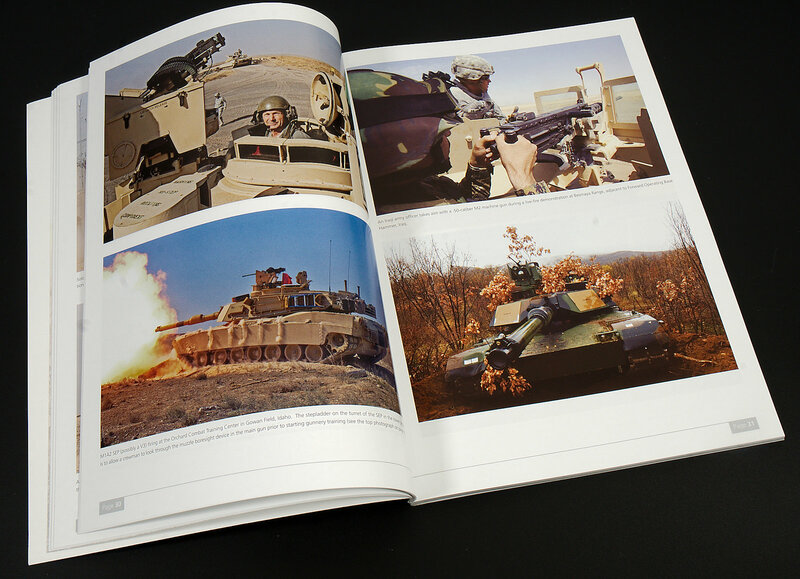 Upgraded gun turret information and photos from inside the tank are hard to find, and again there are plenty of shots like this for readers of the book. 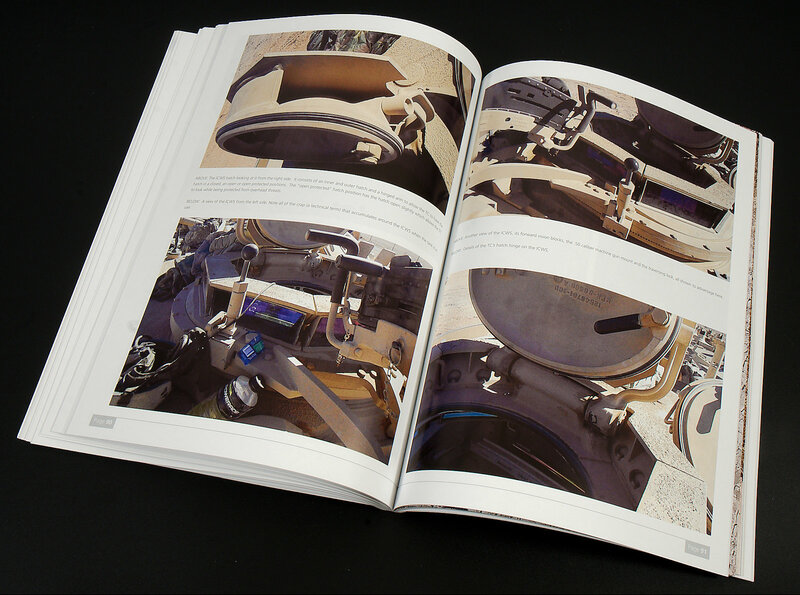 Again we wanted to show you as much in the hatch of the tank as possible from the book. 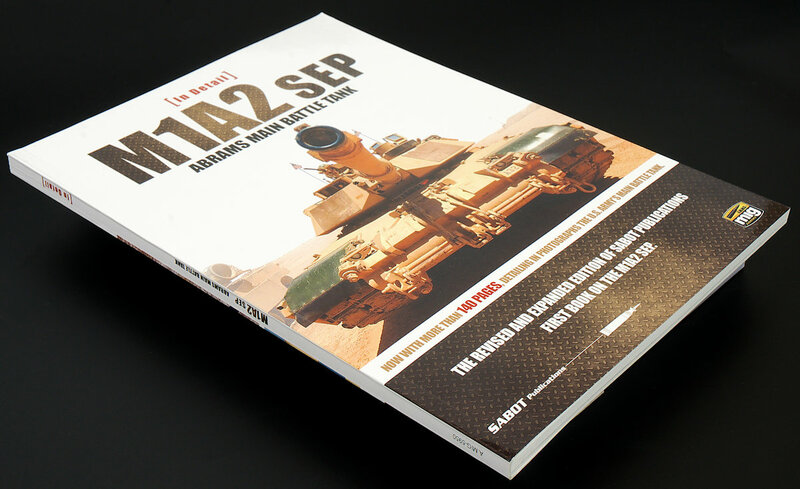 Plenty more like this are right throughout the publication. 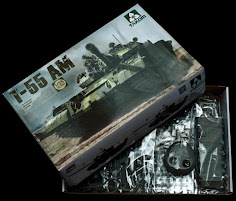 A series of photographs showing the tank in the feild in used are great for dioramas and weathering. 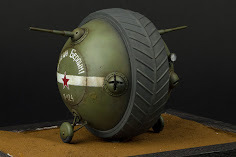 We are then treated to some more candid shots of the crews and their vehicles while on various training exercises, which help bring the tank to life as the crew fire the gun, reload ammunition, remove the engine pack or a variety of other activities involved with crewing a tank. 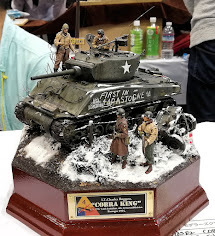 Never having before seen shots like this of the crew actually firing and fighting from the tank are something not seen in many other places. 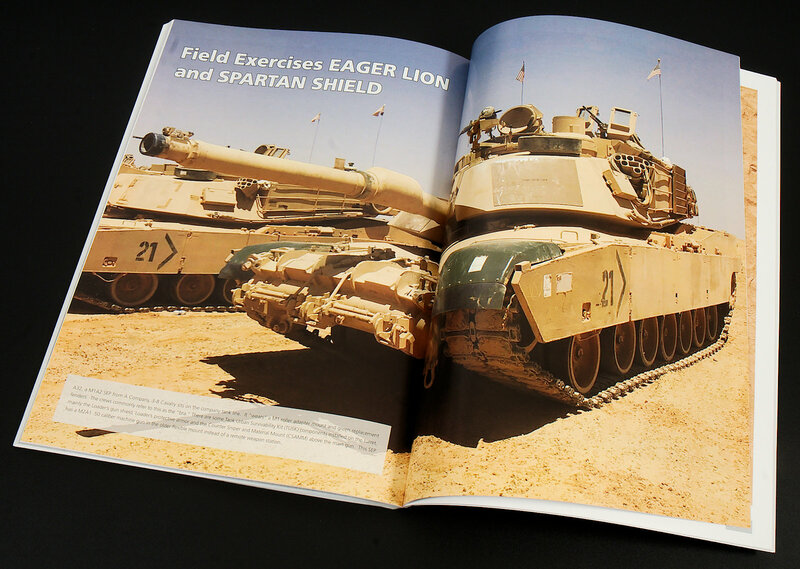 Eager Lion and Spartan Sheild exercises are covered with more great in-action shots of the Abrams. 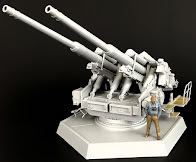 Detailed shots of the power pack are again, priceless for modeller's references. 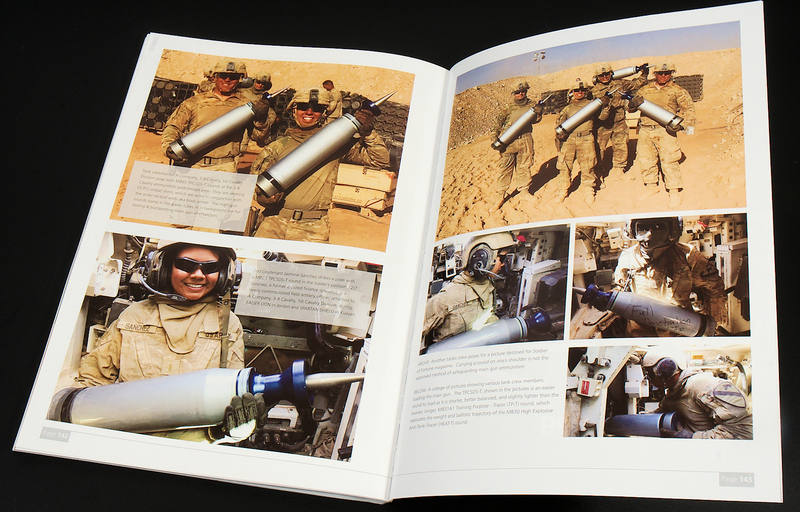 Lastly, the human touch, showing the crew with things like the ammo gives us an idea of scale and colour in the photos right throughout this book. 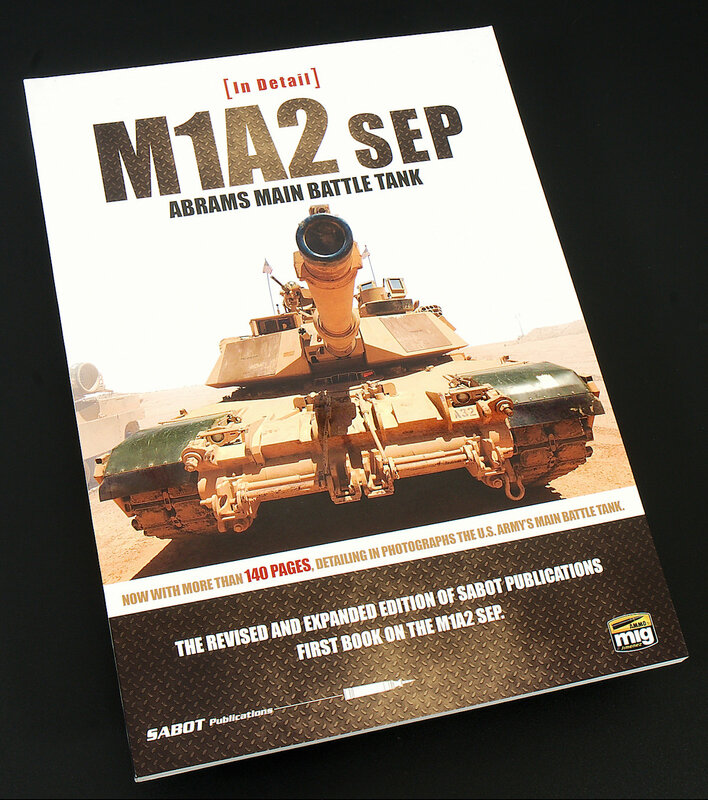 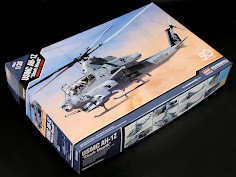 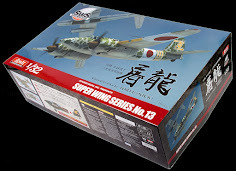 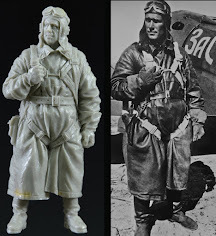 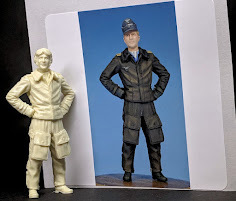 If you did not get the first edition release by Sabot, then this edition is definitely the one for you, especially if you are looking to building that next Abrams kit.